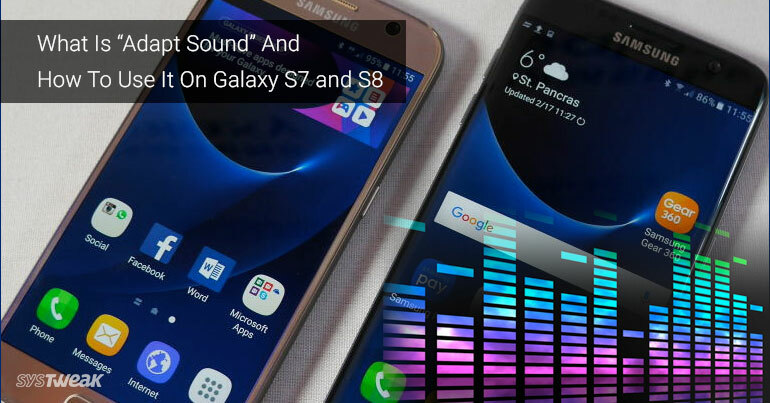 Samsung’s smartphones come with an incredible feature that allows users to fine-tune their listening experience. This feature is called Adapt Sound. In this article, you will find everything you need to know about this feature. What Is Adapt Sound Feature? Adapt Sound feature sets the sound profile according to your need. Some like it loud, some like it low and this feature helps with the customization of sound preferences. For instance, if someone likes a particular type of sound but others might dislike the same. Adapt Sound does tailors these very needs for the user concerned. Adapt Sound makes different beeps in each ear and asks you to listen to it. This helps in building a custom sound profile according to the information it has collected to provide the perfect balance between each ear. First, connect your headphones to your phone and navigate to Settings.Note: Headphones must be connected in order to open Adapt Sound menu. Here, tap on Sounds and Vibration. Now scroll to the bottom, and tap on Sound quality and effects in Advanced section. 4. From the Sound Quality And Effects Window, scroll down to Adapt sound and click on it. Preset 1:Optimized for people under 30. Preset 2: Optimized for people between 30 and 60. Preset 3: Optimized for people over 60. Note: You can choose any one from the pre-sets according to your age to make your listening experience better. 6. However, if you want to experience the real benefit of Adapt Sound, tap on Personalized sound. Note: In Personalized sound, you will get a set of instructions which you must follow in order to get the most out of it. To get the right sound one must follow the instructions strictly. 7. Once the process starts, you will hear different beeps. However, You will never hear the sound in both the ears simultaneously. Simply tap Yes or No if you hear it or don’t. 8. In the end you have to answer from which ear you would prefer to take phone calls. After this, your Personalized sound profile will be set accordingly. To experience the difference try playing music and change it to the Personalized sound option. There is a Preview button available using which you can compare sound. It is another step in the Personalized sound menu. Using Preview button, you can hear the difference of sound for each ear independently and for both at the same time. To preview, tap the Personalized button and hear the music, as per set sound. To hear original track, tap on Original button. A huge sound difference in the quality of the sound will be experienced. Adapt Sound will change the meaning of music and sound for all. The preview function will help to hear and set the sound to sooth your ears and relax your mind. It’s time to try this feature, so what are you waiting for!